Are you invited to a Greek Christening? If so, it is customary that you give a gift, whether you can attend or not. Being baptized signifies the beginning of a person’s Orthodox Christian life. That is why the most common Christening gifts that are given, are religious in nature. 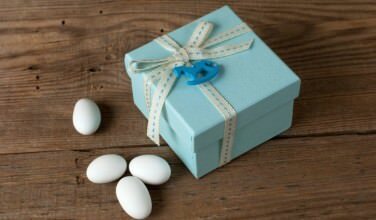 Here are some ideas that will help you find wonderful religious themed gifts to give at the Christening. There is such a wide variety of Bibles and other religious books you can give, the choice is really up to you. They’re all appropriate. You can either select those that are geared towards children or something that the child will grow into, as he or she gets older. 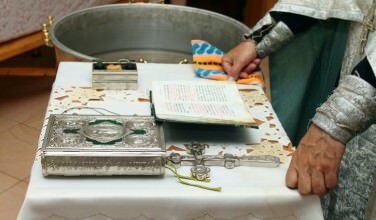 Items like Bibles, Orthodox prayer books, and other religious literature all make wonderful Christening gifts. You may want to inscribe the book with something special so she can remember who gave her the book as she gets older. Even though the godparent gives the child a cross to wear during the Christening, it is still appropriate to give a cross as a gift. This can be in the form of a pendant, a cross charm, cross earrings, or a cross bracelet. Since she is getting a cross from her godparent, though, you may want to consider one of the other types of crosses so that your gift can be a little more unique. 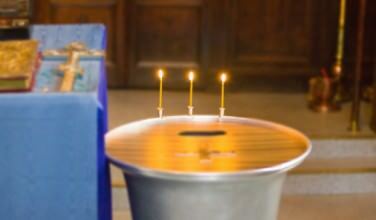 Another great idea for a religious Greek Christening gift is an icon. There are several ways you can approach this. You can give her an icon of the saint that she’s named after, an icon of an important scene from the Bible, or one of Jesus. Including a description of the icon itself is also a nice touch. For example, if her name is Catherine you can give her an icon of Saint Catherine. Another appropriate gift for an Orthodox Christening are baptismal pins. These are small pins that bear a cross and perhaps a saying about baptism. These are most often given to the Christening guests but it is possible to find baptismal pins that are designed as a keepsake for the person who is baptized. These are also nice trinkets to include with another gift, such as money. 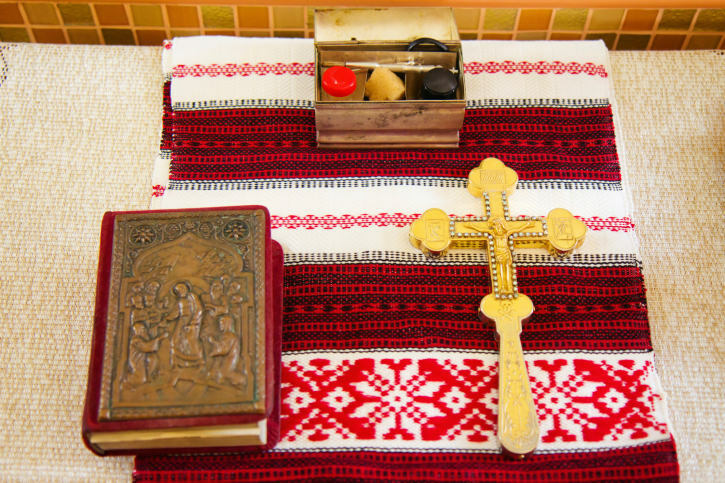 Other options for a Christian themed gift for an Orthodox Christening are any religious items such as plaques with religious, keepsake boxes with crosses, quilts and blankets with a Christian theme, religious clothing, etc. It is also more than appropriate to make these items yourself. 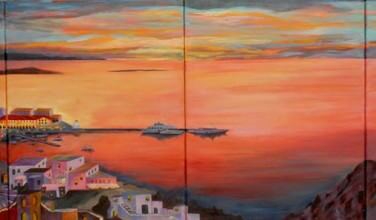 For example, a handmade quilt with a Greek Orthodox theme would be an appropriate gift. If you are attending a Greek Orthodox Christening you may want to consider giving a gift with a religious theme. Since this is a very important Sacrament in the Orthodox Church, a Christian gift is more than appropriate. Religious keepsakes, such as crosses, are the kinds of gifts that she will likely have all her life.